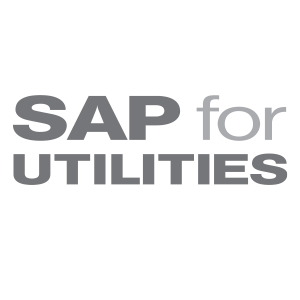 Basis Technologies' Utilities Solutions team is excited to announce that we will be attending SAP for Utilities 2017 and we've been working tirelessly to make sure its the best one yet! Come and meet us at stand 16 in Huntington Beach, CA, September 10-13, to experience the hype around the leading utilities solutions tool BDEx. You will be able to see a demo of the tool and get to speak to existing users to find out how BDEx has revolutionized their customer experience. BDEx is the must have tool for any utility running SAP CR&B and IS-U to ensure best in class exceptions management that reduces operational costs and improves customer excellence. And if you’re evaluating SAP CR&B for a future implementation, you need to ensure that you have BDEx to support you! ....then please come and meet our experts at stand 16, and find out how the BDEx and ActiveControl automation tools can help your business. Our customers Puget Sound Energy, DTE, TECO, Hydro One will be at the show! Don't miss their speaker sessions! Basis Technologies will be showcasing BDEx, the leading exception management tool suite for Utilities running SAP CR&B, at CS Week on May 23-26 at Forth Worth Convention Center, Forth Worth, TX. Come and visit us at booth #638 to learn why major utility companies, such as Puget Sound Energy, Atmos Energy and Tacoma Public Utilities, trust BDEx apps to improve their customer service. So far, BDEx solutions have transformed the customer experience for 22.5 million utility customers worldwide. Last year, Tacoma Public Utilities (TPU) was named a finalist in the coveted CS Week utility industry awards, in the category of innovation in customer service. This year, Utilities solutions expert Trevor Ticehurst will co-present with Margo Fengler-Nunn of Tacoma Public Utilities on 'Empowering Service Agents to Delight Our Customers' to tell the story of how the company achieved their great success. Wednesday May 24th at 10:45-11:45 in room 201C. Don't miss it! See you in Forth Worth! Basis Technologies will be showcasing BDEx, the leading exception management tool suite for Utilities running SAP CR&B, at CS Week on April 26th to April 29th at the Pheonix convention centre in Pheonix, Az. Come and see us at Booth #937 to learn why major utility companies, such as Puget Sound Energy, Atmos Energy and Tacoma Public Utilities, trust BDEx apps to improve their customer service. So far, BDEx solutions have transformed the customer experience for 22.5 million utilities customers worldwide.